Don’t forget to download the MK Marathon Weekend app, which you and your supporters will find useful over the Race Weekend. You will be able to download this from the iTunes Store or Google Play. The App will be updated before race day. 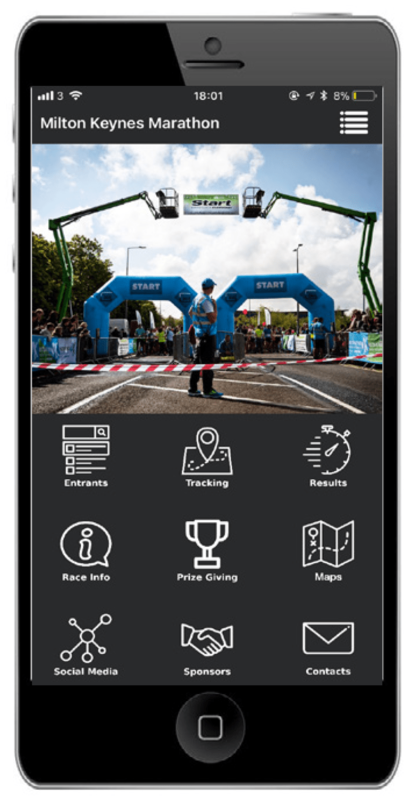 The app allows your supporters to track you and others live on Race Day. They can track your progress along the course in real time. Search for yourself by name or your running number. Live tracking will start when you cross the second timing mat which is approximately 0.5 miles into the race. Some helpful maps have been added to help your spectators get around the course. Share your photos on the day with #MKMarathon. All race results with finisher times will be available live on the app’s leaderboard and on the website shortly after you finish. Details about winners presentations including times are also on the app. Important race information will also be available on the app, so you can have them to hand at any time over the weekend. You will be able to download this from the iTunes Store or Google Play.